Aim. 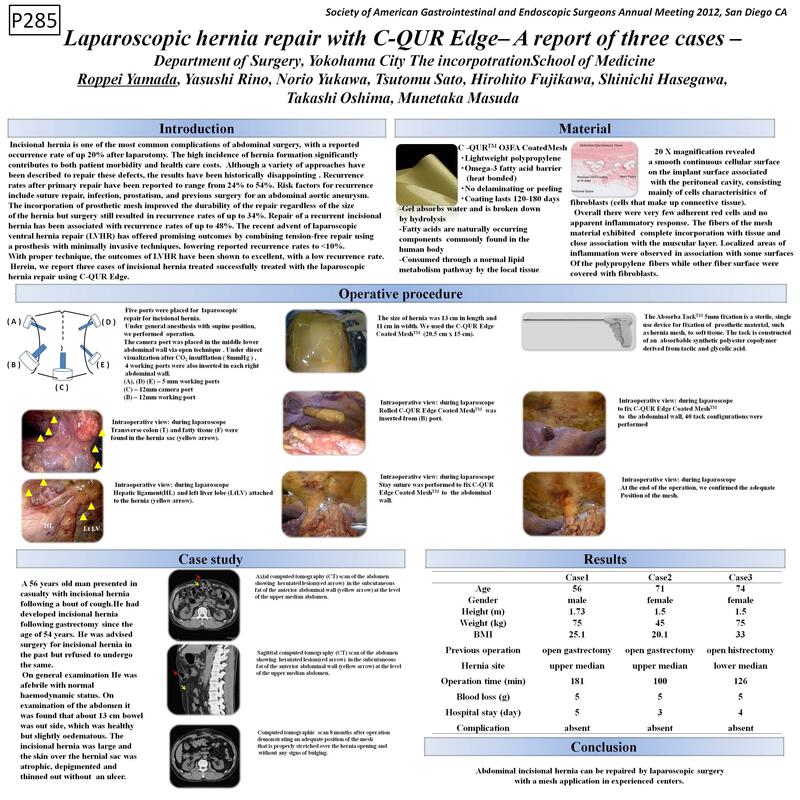 We report three incisional ventral abdominal wall hernias were repaired by placing a 20 × 25 cm New Bio-Absorbable Mesh Prosthesis (C-QUR Edge) by laparoscopic hernia repair. Methods. All three cases had previous operations and presented with giant incisional defects clinically. The defects were repaired laparoscopically with the placement of a C-QUR Edge of 20 × 25 cm. Absorba-Tac technique was used in all of the cases to secure the mesh to the anterior abdominal wall. Results. The mean operation time was 120 minutes. The patients were mobilized and led for oral intake at the first postoperative day. No morbidity occurred. Conclusion. Abdominal incisional hernias can be repaired by laparoscopic surgery with a mesh application in experienced centers.